Botanical choice and concentration are delicately balanced to produce a distinct flavour effect in gin, be it a single flavour or something more complex. A slight slip in measurements can lead to a completely different taste experience. We use four base botanicals and four flavouring botanicals to make our gin, we’re going to give you a bit more information on the importance of botanicals, when they’re used and why. This is the precursor to many gin styles and the original format of all gins. There are many different styles of gin, from London Dry to Genever or Old Tom and Navy Strength - all originate from these roots . The four botanicals of interest at this stage are juniper berries, coriander, angelica root and orange peel. Genever is Dutch for Juniper, the most fundamental of ingredients in the spirit, giving gin its defining bittersweet character while angelica root gives a viscous mouthfeel and binds the flavours together. These ingredients are macerated together with near pure alcoholic spirit to create a base gin which is quite generic and a perfect platform to build on with some unique and interesting flavours. This small, sweet, indigenous berry is a beautiful addition to salads and desserts. It brings a juicy tart sweetness to the mix which complements the orange peel in the base gin and is experienced towards the end of the mouthful. This common garden weed was brought over to Great Britain by the Romans in their conquesting days. A proliferous vegetation, it was initially used in salads to add an earthy, peppery taste similar to rocket which is still used today. The same flavour is in our gin, and uniquely so, as far as we are aware, as this ingredient is not a common choice. A long stemmed vegetation commonly found on the water’s edge of lochs and ponds, bullrush is known for the brown pods of seeds which disperse much like a dandelion in the Autumn. The stem is like a leek in structure and provides a fresh grassiness to the gin when macerated. This complements the use of coriander in the base spirit and binds together the herby and sweet flavours tasted later in the mouthful. 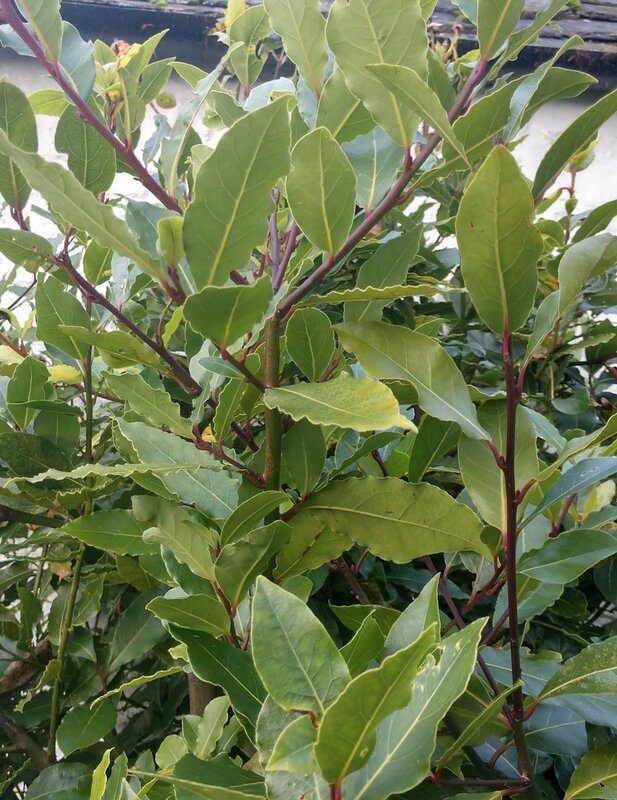 Leaf of the Bay tree is commonly used to provide a savoury herb taste in many dishes such as curries. When combined with our other botanicals, it works well as the initial taste of the gin complemented by the juniper berries in the base spirit. These botanicals combined lead to a delicate journey of flavour and a more interesting general taste experience, and that is when drinking the gin by itself, with no tonic or garnish. The joy of a complex tasting gin is there are different ways to bring out a particular part of the taste profile through the choice of mixer and garnish. Again, each should be chosen with the flavours of the gin in mind to add to or complement what is already going on. For Bardowie the recommendation is for a mild tonic to allow the delicate balance of flavour to come through, or a more concentrated G&T measuring more like 1:1. As for the garnish, this is another realm of experimentation with which we have dabbled and chosen a few combinations to enhance certain aspects of the gin, but there are many others yet to be discovered. For example, torn bay leaf will enhance the savoury aspect of the gin tasted at the beginning, for those who prefer a herbier gin whereas sliced clementine will bring out the sweetness in the gin for those more inclined towards a sweet drink. Frozen blackcurrants or blueberries also have a similar effect, as well as dancing up and down in the glass as the carbon dioxide bubbles in the tonic attach and detach from them which makes for a rather amusing spectacle. Dried fruits and herbs used as garnishes tend to provide more flavour and a better blend by soaking up the moisture from the drink.